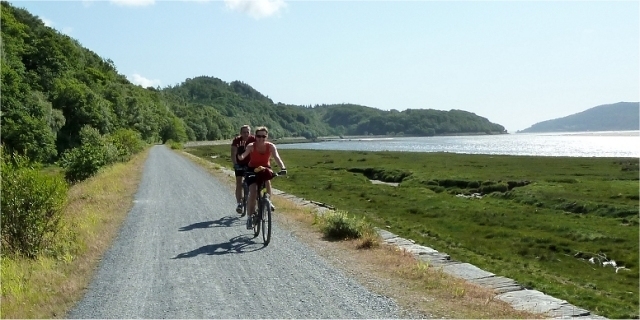 Barmouth Bicycle Hire is available at the Birmingham Garage, on the Barmouth coast road. Birmingham Garage is conveniently situated on the Dolgellau Road, 25 metres from the harbour, close to Barmouth Bridge and convenient for the 20 mile round trip from Barmouth to Dolgellau and back on the Mawddach Trail. Our holiday cottage in Barmouth is no more than a ten minute walk from the Birmingham Garage bicycle hire shop.